Consider our name if you wish to have professional assistance that can handle GST compliance and retainership related matters of your organization. At VMR & Company Chartered Accountants, we are a group of subject matter experts, who work in sync with clients’ functional requirements and accordingly provide expert opinion for company’s operations. With our services, we provide professional solutions for different industry verticals. We are operating from Delhi, India; clients can reach us anytime for further discussion. As per statutory requirement of GST Act, every dealer with annual turnover more than two crore get audited from Chartered Accountant and file GST Audit Report with department in GSTR Form 9C. 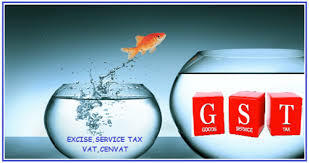 VMR & Company, Chartered Accountants having team of experts in GST.